Our rates depend on the season and are stated for 2 people and one guest room: $149. The whole suite (sleeps 4) is available for $215. Single nights are available depending upon how bookings are made, so please phone to check availability. 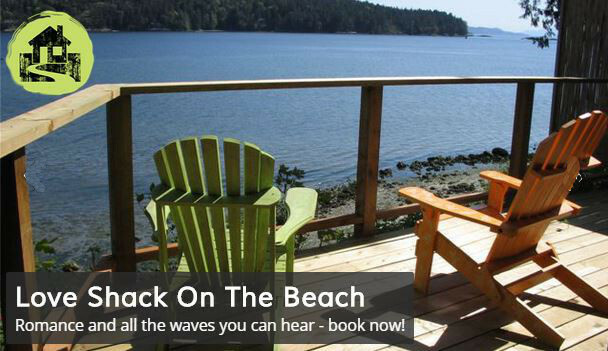 Located on beautiful Salt Spring Island, the Cedar House on the Hill is surrounded by majestic cedar trees and has an astonishing ocean view. For the ultimate stress-busting vacation, pamper yourself with an exceptional bed and breakfast. We are known for offering personalized service and wonderful little extras that will make your vacation truly special. After a perfect night's sleep, awaken to the aroma of freshly baked goods and enjoy our delicious gourmet breakfast.